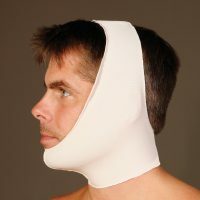 How do Post Surgical Compression Facial Supports Work? Post Surgical Facial Supports provide pressure and stabilization to the Maxillary, Mandibular, TMJ and Facial areas Post-OP. Can help eliminate edema and bleeding. 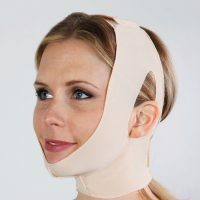 Form fitting Facial Supports are easy to apply and offer even compression throughout the contour of the face and neck.